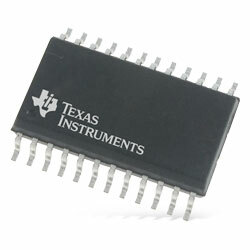 Texas Instruments TPS2HB08-Q1 Dual-Channel Smart High-Side Switch is designed for use in 12V automotive systems. The device combines robust protection and diagnostic features to secure output port protection even during serious events like short circuits in automotive systems. The device protects against faults through a reliable current limit, which, depending on device variant, is adjustable from 6.4A to 70A. The high current limit range provides for usage in loads that need large transient currents, while the low current limit range offers improved protection for loads that do not need high peak current. The device also offers a high accuracy analog current sense that enables improved load diagnostics. By reporting load current and device temperature to a system MCU, the device allows predictive maintenance and load diagnostics that enhances the system lifetime. Typical applications include infotainment display, ADAS modules, heating elements, seat heaters, glow plug, tank heaters, transmission control unit, HVAC climate control, body control modules, and incandescent and LED lighting.